TREWBLESS – We Offer The Services Of Installations Of The Following, Satellite Dish, CCTV, DVR/NVR Configuration For Remote Access/Cloud Storage, Solar System, Eletrical, Hotspot etc. We Install Motorize system of Satellite dish. 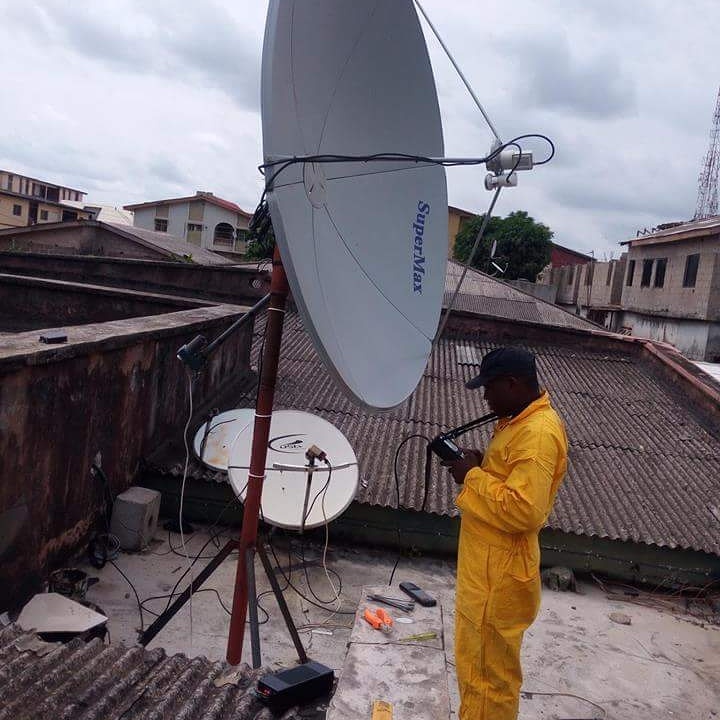 Some Doesn’t Know How To Get Your Dish Aligned To The Actual Your Desire Satellite, They Keep Tracking It Mechanically Through Out The Whole Day and May even End Up not Getting Signal, Which May cost You Looking For The Right Person To Do The Job For You. So Friends Trewbless is the Right Option. Most People can install Cctv Cameras, but not everyone Knows how to configure DVR/NVR for remote access over the Internet or 3G network. We make the difference because its our job, and we do it professionally, and We give our customers the best satisfaction. we also do and train on network working.